This is a list of Bergen County Camera’s favorite Photography Tips. Here’s a list of all of Bergen County Camera’s Photography Tips. Backing Up Your Images – How to prevent the loss of images by backing up your data. Blurry Images– Learn how to end those blurry streaks and get more out of your pictures. High Dynamic Range (HDR) Photography– Learn what High Dynamic Range photography is and how to create HDR photos. 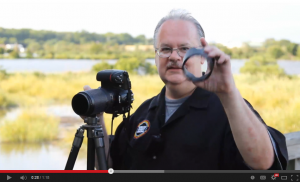 Lunar Photography– Learn how to take breathtaking pictures of the moon and stars. Reducing Red Eye– What is creating red eye in photos and how to get more pictures with less red eye. Sensor Cleaning– What a dirty sensor looks like and what to do if your camera is in need of cleaning. Sharpening In Photoshop– A basic walkthrough of creating sharper images using Adobe Photoshop. Time Exposures– Create unique images by adjusting how long your shutter stays open. Tripods– Take better photos in a variety of situations with a tripod. Video: Landscape Photography– Join Photographer and Bergen County Camera Employee, Alan Schwab as he discusses landscape photography. 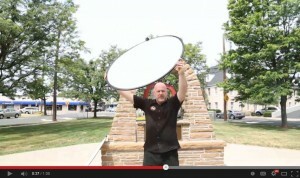 Video: Outdoor Lighting Tips– Join Photographer and Bergen County Camera Manager, Paul Carretta as he discusses lighting subjects outdoors. Fireworks Photography– Take better photos of fireworks. Fall Photography– Use the changing foliage to your advantage. Holiday Photos– Advice on a variety of different holiday photo situations. How To Get White Snow– Snowy photos coming out grey? Learn how to fix it. Summer Photography– Take better photos in the summer months while keeping your camera safe. Winter Photography– Tips on taking better photos in a variety of cold weather situations.